How talking about quality together and creating and setting quality goals as an organisation can improve your delivery. What is quality? What does quality look like? How do we achieve it? How do we make it part of our working lives? The challenge of creating a quality mindset is a major issue for many agencies. While everyone has an idea of what quality means, the quality of what we do can vary from team to team and is viewed and measured through the lens of individual performance. In this talk, Andy will regale us with the challenges he faced at Reckless when tackling the inequality in quality and how creating and setting quality goals as an organisation can improve your delivery. You will hear how to create an environment where people want to be involved and do their best work, and why talking about quality together is like group therapy and with all similar benefits. Andy will show that embracing cooperative conflict – where we can safely disagree among ourselves – will transform your teams and their delivery. Finally, we’ll see the lessons the company learned together so you can experience the gain without the pain. Andy is the Delivery Director at Reckless. 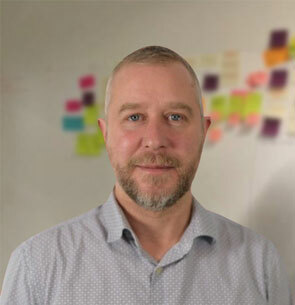 He has been working in and around digital delivery for many a moon, in both the public and private sector, with clients ranging from Ride London to IAAF to the DfE. He writes, occasionally, about delivery and until recently ran the BIMA DPM meetup in Sunny Liverpool. His colleagues would say he needs to be fed and watered often but is otherwise fun to work with. When not in the office, he endures his exuberant offspring, finding solace in preparing restaurant quality meals for his wife, with whom he shares a love of birds. You will hear how to create an environment where people want to be involved and do their best work, and why talking about quality together is like group therapy and with all similar benefits.